mCommerce is the best choice for WooCommerce stores if you plan to take your business to the next level. 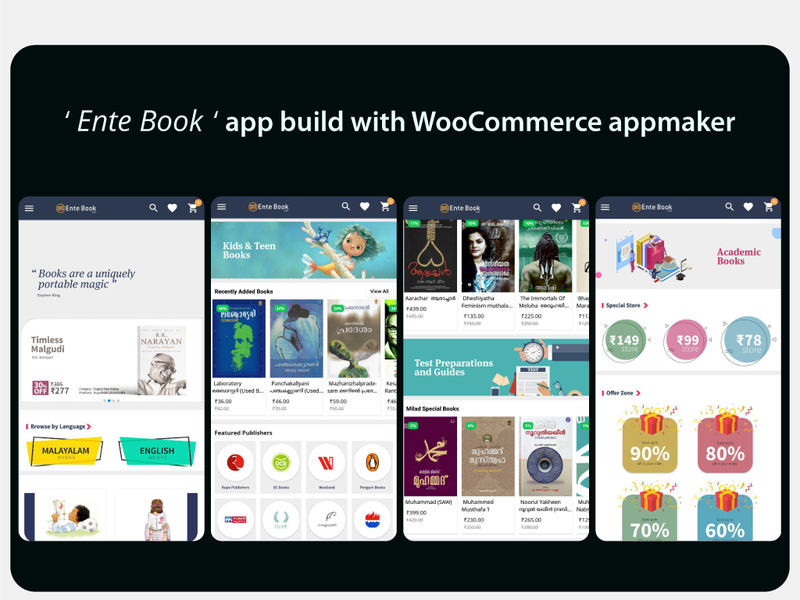 And among all the WooCommerce app builders out there, it will be challenging to choose one for your WooCommerce store. 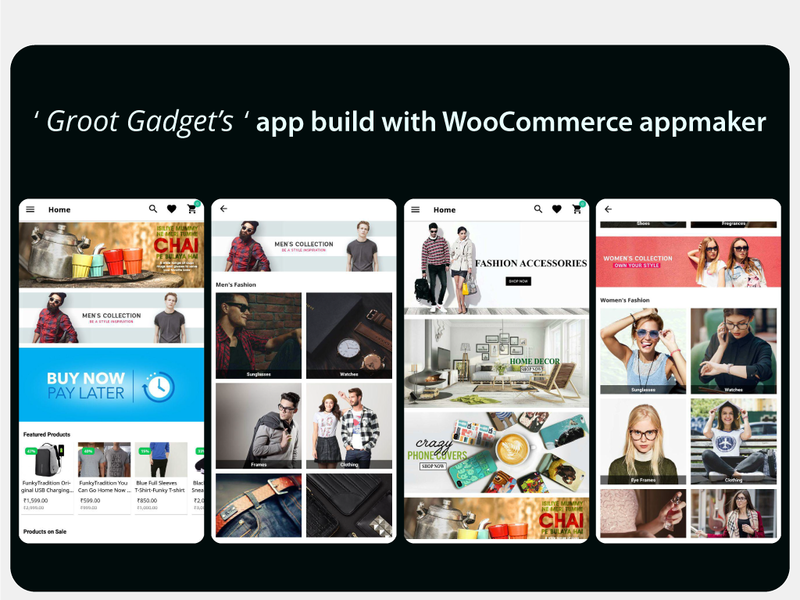 To simplify this for you, I’ll be comparing the two trending app builders in the current market- The Appmaker WooCommerce and KnowBand WooCommerce. Apps are built to acquire more customers, increase sales and brand value. Appmaker and Knowband are renown. But still, there exists a lot of difference between these WooCommerce app builders. Is there a plugin for Knowband WooCommerce app builder? In order to build the app with knowband, Initially, you will have to download a zip file. This is the plugin provided by Knowband. You’ll have to upload this plugin and activate it. In other words, Knowband does not have a plugin in WordPress and hence adding the plugin to the store is quite a lengthy process. Indeed, knowband WooCommerce lets you manage contents from the WordPress dashboard. However, the content which can be managed is very limited. The Widgets provided by knowband WooCommerce includes banners and Sliders. The user can add or remove both these widgets from the dashboard. Does Appmaker provide a WordPress Plugin? Yes, the appmaker has simplified the process of converting the WooCommerce Website into a native mobile app. Initially, appmaker lets you convert your WooCommerce Website into a native WooCommerce app. Then Comes the managing. The appmaker’s dashboard will be handovered to the store owner for further managing of the entire app. It’s not just the general settings, the entire app can be managed from the appmaker’s dashboard. Let’s start off with the In-app pages. The First impression of an app is extremely dependent on the apps In-app Pages. Thereby, building an app with the latest designs are essential. Unlike knowband, appmaker lets you create, manage and delete as many as In-app pages for the app. This is made possible by providing widgets. Knowband provides sliders and banners. Whereas, appmaker provides 8 widgets. Each In-app pages can hold any number of widgets. Actions and sub-actions are assigned to each widget to specify the purpose of the widgets. To see how these Widgets are gonna reflect in the app, Let’s take a look at some of the apps that are build by Appmaker’s customers. 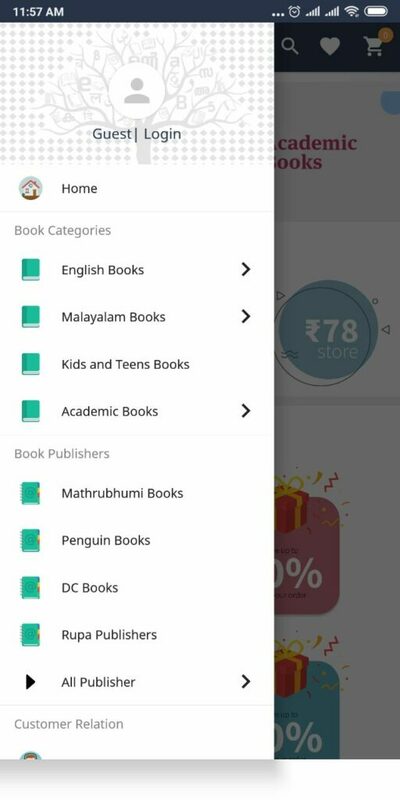 For Example, If the user wants to add a special ‘Offer page’ for an occasion, he can create and easily customize the In-app page just the way he wants. A navigation bar is more like a guide for the app users. It takes the user to their intended place within the app. At the same time, it helps the users to make the shopping much simpler. With a properly designed navigation bar, the store owners can exhibit their services and products at a stretch. Appmaker lets you design, manage and modify the navigation bar for your app. Building an app alone won’t be enough in order to make an impact in M-Commerce business. Sending push notifications helps a lot in customer retention. For example, A shopper has added a product to his cart. But, he has abandoned the cart because he thinks the price is not reasonable. This is a common reason for cart abandonment. For a store owner, the shoppers to buy the product is the primary thing. Push notification is a direct communication channel with the customers. Using this channel Properly can do miracles in sales. 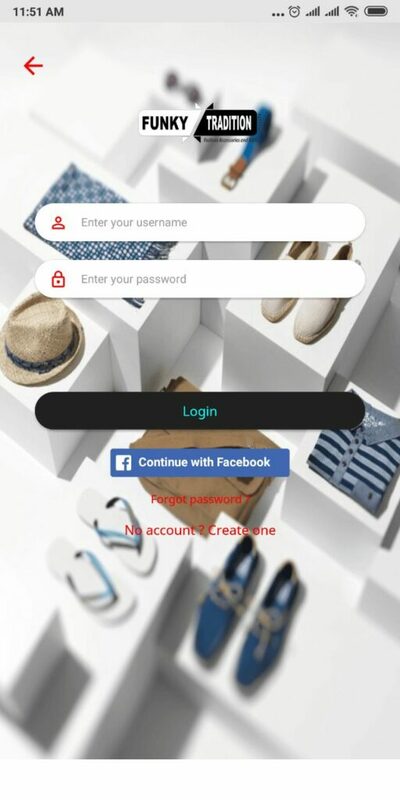 Store owners can send creative and attractive push notifications to users with appmaker. Appmaker lets you create and send standard and order status notifications to the shoppers. When the user clicks on the push notification, directing the users to the home page will make them wonder ‘Where’s the thing that they have mentioned in the notification’. 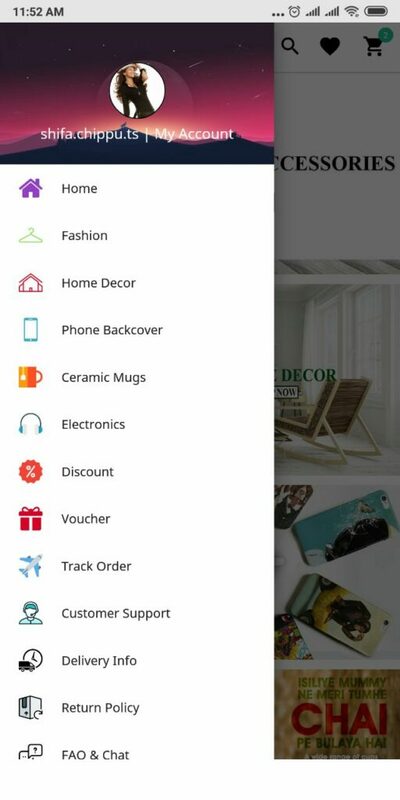 With appmaker, Instead of taking the users to the home page, you can direct them exactly to the offer page or product, which was mentioned in the notification. Appmaker provides both Social and standard logins. The user can customize the login page by adding a background image and changing the style of the app. Choosing a theme is not difficult. Either you can choose a theme that is compatible with the website or you can create your own theme. With appmaker’s Dashboard, you can experience the live preview of the app that you wish to make. With the appmaker’s dashboard, the users get the overall control over their app. The dashboard is designed in such a way that, it is easy to handle and manage. If you are running an E-Commerce store, it is obvious to have customers all over the world. At the same time, it is not necessary for all the users to know a common language. Providing multi-language support implies that you care for the customers. 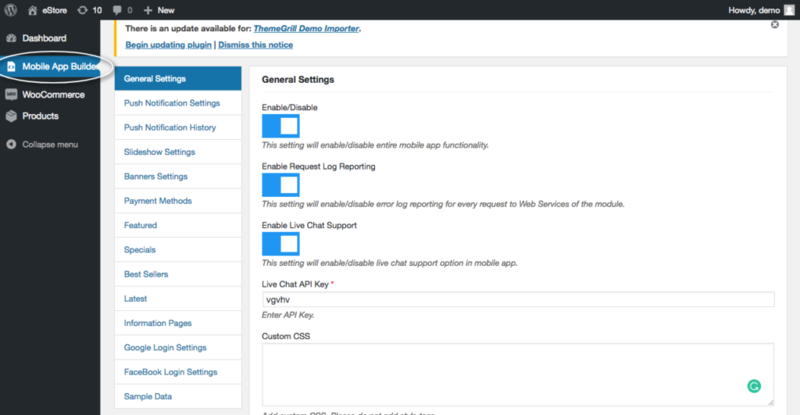 Appmaker lets you add multiple languages to the customers. You can add and manage the translation. This helps by reducing double entendre. Know and learn how the business is with your app. 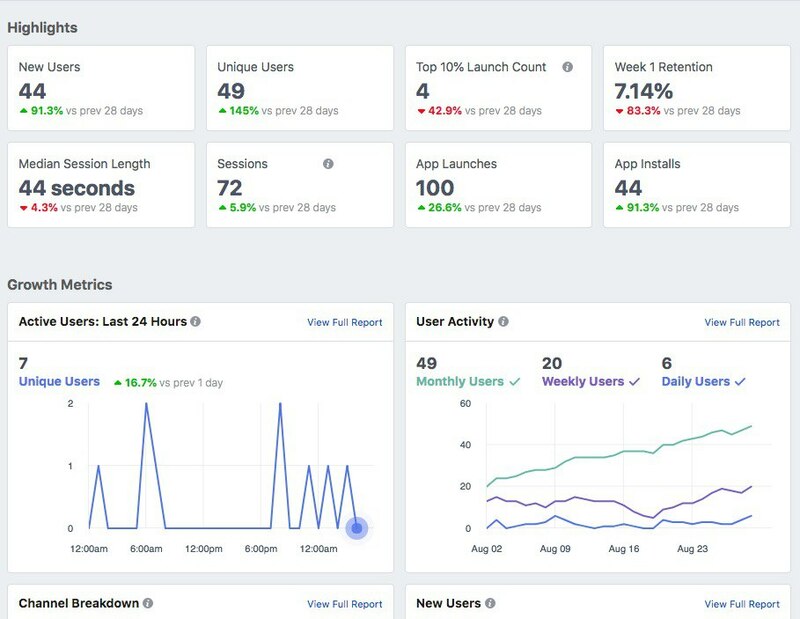 Analytics provided by appmaker lets you monitor all the activities of the users within the app. Appmaker supports all the trending and most trusted payment gateways. With the Simplified checkout procedure, the shoppers can check out from the app easily. On the whole appmaker and knowband provides WooCommerce apps for WooCommerce stores. Even though similarities exist, appmaker provides more support and latest feature for native mobile apps. Knowband lacks supports throughout the business, plus the user does not get full control over the app. With appmaker, its more than building an app. They bring expert support for online business. Allowing the users to customize their app lets you try out various methods to increase sales and conversion rates.